Don’t Wait! Get Your Emergency Treated Today! A dental emergency can strike anyone, at any time -- so, while you may brush and floss regularly, that does not mean you are completely safe from a toothache, broken tooth, or any other urgent situation. Dental emergencies typically occur as a result of long-term infections caused by poor oral hygiene or sudden physical injury. If a dental emergency strikes you in either circumstance, calling your emergency dentist in Harrisonburg should be #1 on your list! A “dental emergency” is something that hurts, bleeds, or is broken and requires urgent professional care as a result. Some adults delay necessary treatment because they are unsure of whether or not they are experiencing a true emergency -- but we urge you to play it safe and always get in touch with us just in case. 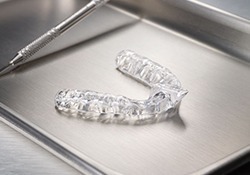 It’s better safe than sorry when it comes to your smile! With that said, here’s how you should handle the following situations prior to arriving. Use floss to confirm that no food is stuck in between your teeth and causing pressure. If pain persists, take an over-the-counter pain medication for discomfort. Pain could mean decay or infection is present, but you won’t know for sure until you visit our office. 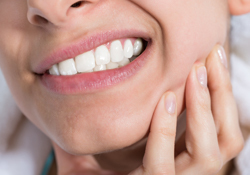 A dental filling or root canal therapy may be needed to solve a toothache. Collect any large broken pieces for possible reattachment. If bleeding is present, apply continuous pressure with a clean gauze to stop or slow bleeding until you get to the office. Take painkillers to reduce discomfort as well. 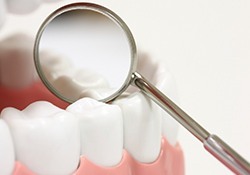 In most cases, a dental crown will be needed to fix a broken tooth. However, if the damage is severe, an extraction may be needed. Locate the tooth and pick it up by the crown portion. Do not remove any tissue still attached. After gently rinsing the tooth with cool water and rinsing out your mouth, attempt to place the tooth back into your socket. If not possible, place the tooth in a cup of milk to keep it moist. If not available use saltwater, saline solution or saliva instead and get to our office as soon as possible. If reimplantation is not possible, a dental implant or bridge can fill the gap in your smile. If you still have the restoration, clean it of any debris and use either dental cement, denture adhesive or petroleum jelly to reattach the crown or filling temporarily. If the restoration is lost, avoid chewing on that side of your mouth until getting to our office. By practicing preventive dentistry, you avoid an overwhelming majority of dental emergencies. This is why dentists often emphasize the importance of routine visits and daily at-home oral care. Treatment for a dental emergency largely varies on the type of emergency you’re experiencing. For example, oral infections require root canal therapy and likely antibiotics, while more serious issues can require an extraction or other replacement restorations. The best way to determine the cost is by visiting our practice directly for further examination. We’ll explain all your options to you and help remove any discomfort you’re experiencing. The worst thing you can do is try to skip the dentist when you need treatment.